Clear, crisp sound from car speakers doesn?åt have to be a dream anymore because KICKER is making it simple to have some of the loudest and most remarkable coaxials ever hidden behind the door of a vehicle. KS-Series Coaxial Speakers and 3-Way System are KICKER?ås primary drop-in replacements, definitely giving mediocre factory sound a serious upgrade.
? ?You won?åt lose the subtleties and will keep dynamic, exciting sound,?? KICKER founder and President Steve Irby said. The exceptional KS-Series of speakers utilizes massive motor structures that provide ultimate power handling and high efficiency for louder, clearer sound. KICKER?ås exclusive Extended Voice Coil (EVC?û) technology allows for high excursion and superior bass response, while the tapered polymer cones with tough Santoprene?½ surrounds deliver smooth midrange frequencies for the most accurate musical reproduction. With 10 flexible woofer sizes, the KS-Series ensures a perfect fit in any car, starting from the capable 3 ?-inch coaxials to the beefy 6x9s boasting 1-inch tweeters. 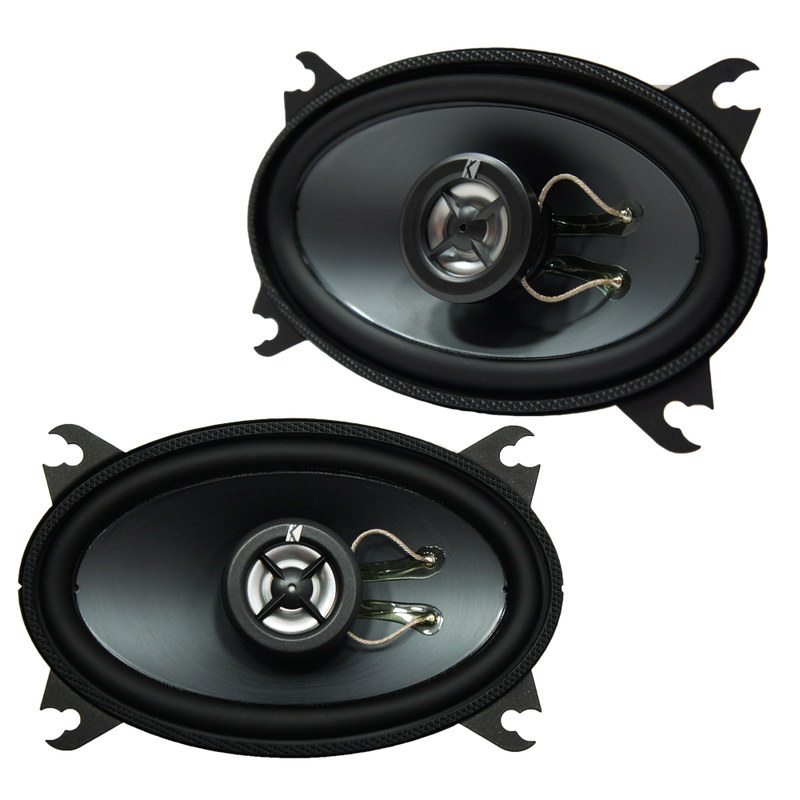 The 6x9-inch KS693 3-Way Speaker System mixes in additional 1-inch midrange drivers with three-quarter-inch tweeters.